Sage advice, and had he been so inclined, Gates might have offered his audience another tried-and-true test of (in)sanity: doing the same thing over and over and expecting a different result. And yet, if these mental health tests were applied to the policy of military escalation in Afghanistan endorsed by Secretary Gates and the Obama administration the whole lot would have to be committed. In December of 2009, after eight years of a war in Afghanistan that had cost 947 US servicemen and women their lives and American taxpayers over $230 billion dollars, the Obama administration doubled-down on an already failed strategy in the hopes that it would produce a different outcome. The “surge” of 30,000 additional troops (a “big American land army” unto itself) and $105 billion taxpayer dollars in 2010 failed to stop increases in civilian casualties, troop deaths, and perceptions of government corruption among Afghans. 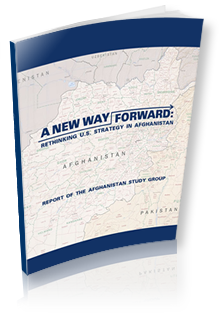 The security situation in Afghanistan has continued its downward spiral and is now at its lowest point in ten years. Yet despite the growing chorus against the war and his own statement at West Point, Secretary Gates’ has managed to maintain his poker face. Just last week he told the Weekly Standard that the Obama administration’s gamble on escalating the current Big American Land War in Asia was beginning to pay off, that things looked better the closer one is to the front, and that erratically shifting the deadlines for troop withdrawal was going to trick the Taliban without confusing our Afghan partners or the American public. Secretary Gates’ speech at West Point suggests that he may have finally come to this realization himself. If that is the case, his continued support for the militaristic status quo in Afghanistan really is crazy and he and the Obama adminstration should seek help in trying to make sense of our strategy. In doing so, they would benefit greatly from listening to the increasingly unified voice of the American public calling for a plan that prioritizes the responsible withdrawal of troops.